This website is dedicated to both the coaching and educational aspects of archery that I offer, as well as the recreational side of archery which I can arrange in several forms. If you are interested in learning archery, improving your current skills in the sport, or are more interested in trying archery in a relaxed way with the likes of Have-a-Go events, archery based parties or team bonding schemes, then you will find all you need to know within these pages. Feel free to contact me if you have any questions or would like further information on any aspect of archery. For everyone thinking of taking up a new interest or sport in 2019, we are planning to run several courses throughout the year. Archery is a very friendly sport which is suitable for people of all ages and abilities. You don't have to be a super-fit sports person to be able to do archery. 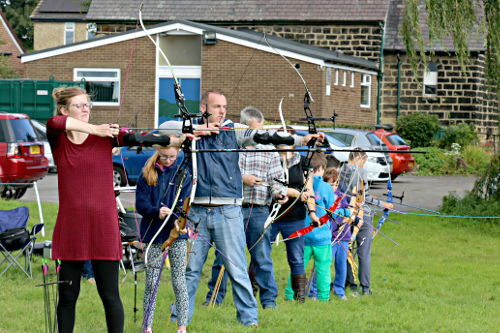 So if you would like to start doing a fun and exciting new hobby for 2019 then archery is the perfect choice for you. Complete the Enrolment Form now and we will get you shooting soon. Targeting Archery provides quality, experienced, qualified archery coaching to all archers, from complete beginners to advanced archers. I am a qualified level 2 Archery GB Coach with plenty of experience with working with adults, juniors and disabled archers. I coach at several archery clubs, with the Yorkshire Archery Squad and along side World Class Programme Coaches. 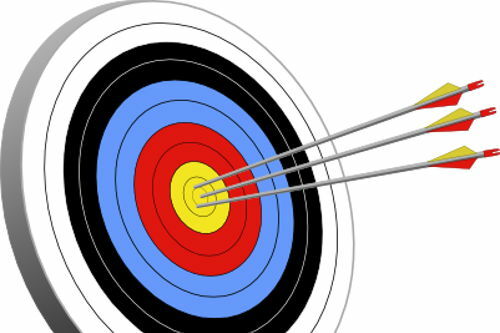 In coaching disabled people, I have built a special interest in working with injured ex-service people who are interested in archery as part of their recuperation process. I have coached several ex-service personnel, some who went on to compete internationally at various Invictus Games and DoD Warrior Games, several taking Gold in their class. Before any archer can join an archery club in the UK, it is a requirement that they first complete an Archery Beginners Course. 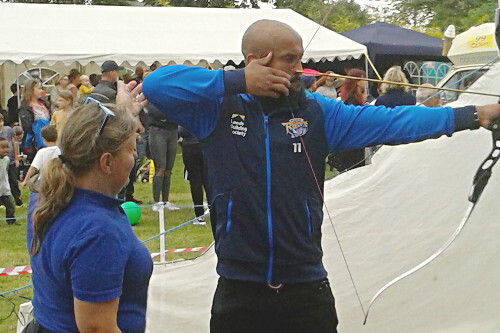 We run several courses throughout the year under the supervision of an Archery GB Level-2 qualified coach, who has lots of experience in working with juniors, adults and disabled. All equipment is provided and we can take archers with little or no experience in archery and bring them up to the level required for safe shooting along with the safety aspects of archery and the basic knowledge required to complete the course. When you successfully complete the course you will receive your archery certificate which you can take to any archery club in the UK and ask to join if they have the capacity to accept you. See below for information about our very own archery club: Targeting Archery Club. 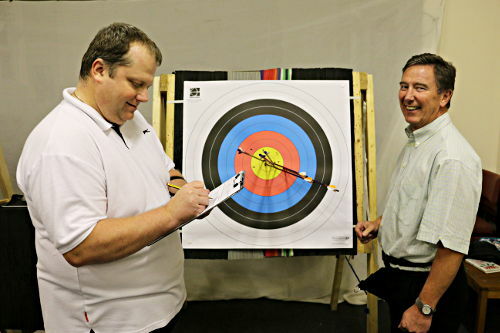 Targeting Archery runs several Come-and-Shoot sessions on Tuesday afternoons. We run separate sessions for adults, followed by our two "Kids Club" sessions. These are for junior school age children and senior school aged children. All sessions run every Tuesday afternoon for an hour each. They are a great way to introduce yourself into the wonderful sport of archery and to see if it is for you. Once you have had a few sessions and wish to take up archery more seriously, you can join one of our Archery Beginners' Courses that run throughout the year, after which you will be ready to join an archery club. 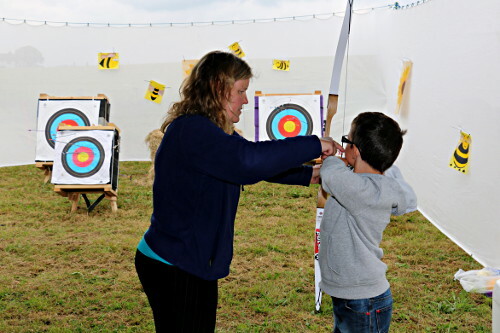 If you are planning a larger event, gala or similar and are looking for an activity to bring in some customers, Targeting Archery can run an archery Have-a-Go stall as the main theme or as one stall as part of a larger event. This can be at our Scholes venue or possibly at your own site after an inspection for safety. We have a lot of experience in setting up and running an archery stall of this nature. Click the button below for more information. Targeting Archery also runs its own archery club, called Targeting Archery Club. Our club maintains its own website where you can find out all about the running of the club, shooting times, how to join and a whole lot more. Archers wanting to join a club in the Yorkshire area will do well to have a look at our club's website for consideration. Click the link below to open the club's website in a new window. Until further notice, the Tuesday 'Come-and-Shoot' sessions have been cancelled following Karen's operation and her recovery period. We will post a new message here when these sessions will start up again. 8th June. Scholes Gala. No club archery but we run a Have-a-go stall. Volunteers welcome!